It is the time of the month where pay day seems to be decades away, and unexpected expenses and emergencies keep popping up. With all of the general daily stresses and strain, it can seem like these financial hurdles just cannot be conquered, but they can be! With Mulah cash loans, you can eliminate the extra financial stress and benefit from easy payment terms with reasonable interest rates attached. 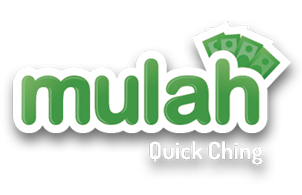 What makes Mulah different from other financial lending institutions? We act fast! There is no waiting around for approvals and pay outs. We understand the nature of financial worries and will ensure that your loan application is processed swiftly, and that you are kept in the loop from the very moment that you make contact with us. Of course, our online system makes loan applications a simple task. 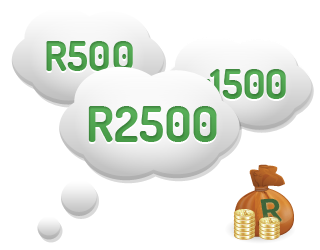 All you need to do is select the amount you that want to loan – a maximum of R2 000 for first time lenders – and then choose how long you would like to make the loan for – you will need to repay the loan on your next pay day. You will be immediately presented with your loan offer, including the interest and fees involved. If you are happy with this amount, then it is time to register online and apply. The entire process will just take a few minutes of your time and can make all of the difference to your financial situation. Once you have registered for an account, we can consider your application. Loan applications that are approved before 3pm can be paid out instantly, so make sure that you send your application through as early as possible. Of course, if you miss the 3pm cut off, there is nothing to worry about – your loan will be paid out the next day. When it comes to finances, we understand that it can be scary to ask for help. You will have a multitude of worries and questions, and we cater to this. On our website, we ensure that our agents are available to chat instantly with you. This means that you can have a real time conversation with a professional in the industry. Making an informed and educated decision is made a simple task with the assistance of our team. In an attempt to make the process even more convenient for you, there is no need to remember to physically make a payment on your next pay day. When your loan is approved, we will activate a debit order that will collect the repayment from your bank account. This is just another way in which we are keeping it simple. When it comes to shopping around for cash loans that will offer you something of value, Mulah is at the forefront of it all. Our team has your best interests at heart and it is our goal to ensure that you are provided with the much needed financial assistance when you need it the most – with no extra hassles and stresses involved. We encourage you to register online or contact us via email or telephone – your financial stability awaits you.